WHO I FISHED WITH: This past Tuesday morning, January 15th, I fished with long-time friend Bill Pasko on Lake Belton. Bill is a great multi-species fisherman originally from upstate New York, on the shores of Lake Ontario. After a short stint as a U.S. Army Infantry officer in Vietnam, Bill worked through age 55 putting his chemistry background to work for him and others. He’s now retired and fishes nearly as much as I do!! The main focus today was to introduce Bill to many of the capabilities of the Garmin LIveScope technology. It also served as a scouting opportunity for me, as I’d not fished Belton since 04 Jan. when the lake flooded once again. Bill called me the day before after seeing my 11 Jan. 2019 post comparing the spread diameter of two kinds of cast nets at depth. His curiosity was piqued and so, off we went this morning in search of fish. Long-time Lake Belton multi-species angler Bill Pasko with a pair of hybrid we caught over 50′ of water. These fish were suspended and on the move, but readily identified using the Garmin LiveScope technology. We used soft plastics on jigheads to seal the deal. WHAT WE FISHED FOR: This trip focused on white bass. HOW WE FISHED: Today’s fishing was focused around the 34-37 foot mark and involved both snap-jigging with slabs for fish we saw on bottom and sniping with soft plastics on jigheads for fish which were suspended. The deeper the water, the better the fish responded to the thumper. The fish activity correlated with windspeed. OBSERVATIONS: I was pleasantly surprised to see even smallish white bass eagerly strike Bill’s 4″ long soft plastics as we sniped for suspended fish. I’ve traditionally defaulted to smaller presentations. We experienced one episode of helpful bird action offered by ~8 terns over a short 10 minutes span, despite hundreds of ring-billed gulls sighted over open water. 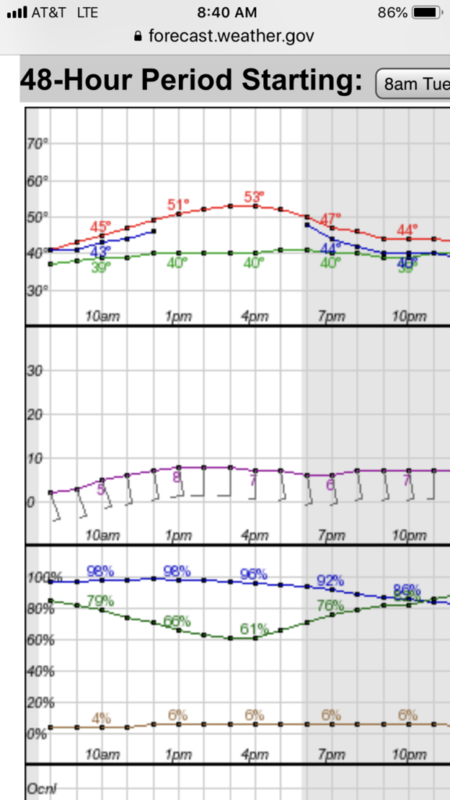 Wind Speed & Direction: Winds were calm through about 9:30, then blew SSE6 for the remainder of the trip. 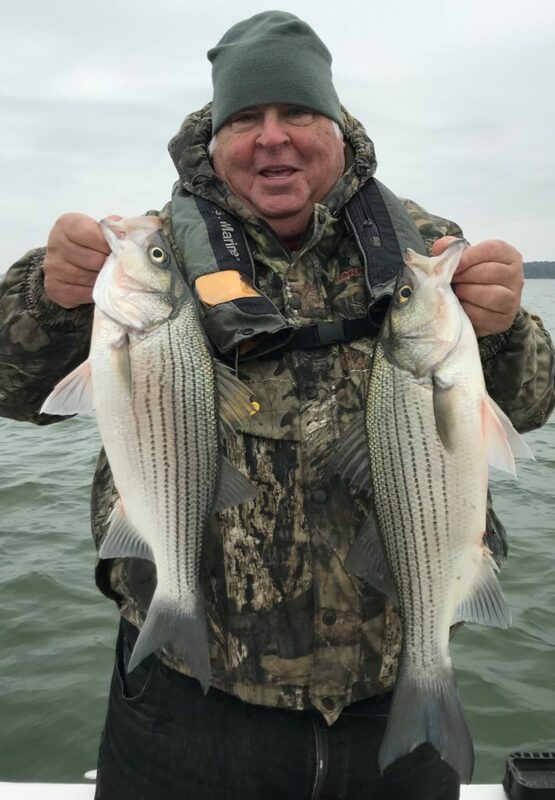 This entry was posted in 2019 Fishing Reports and tagged Belton Fishing Guide, fishing near me, hybrid fishing guide, stillhouse fishing guide, white bass fishing, white bass fishing guide, white bass run 2019. Bookmark the permalink.